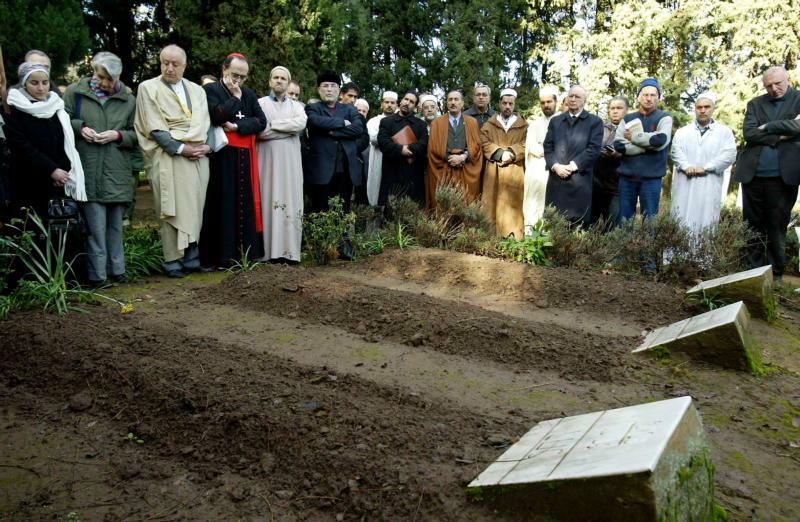 VATICAN CITY (CNS) -- The beatification of 19 martyrs of Algeria, including the seven Trappist monks of Tibhirine, will be celebrated Dec. 8 in Oran, Algeria, the country's bishops announced. Cardinal Angelo Becciu, prefect of the Congregation for Saints' Causes, will preside over the Mass and beatification rite for the six women and 13 men who gave their lives "for the least, the sick and the men, women and young people of Algeria," said a statement published by the bishops Sept. 13. The martyrs "are given to us as intercessors and models of Christian life, friendship and fraternity, encounter and dialogue," the bishops said. "May their example help us in our life today." "From Algeria, their beatification will be an impetus and a call for the church and for the world to build together a world of peace and fraternity," the bishops said. The 19 martyrs were killed between 1993 and 1996 while Algeria was locked in a 10-year-long armed conflict between government forces and extremist Islamic rebel groups; the conflict left tens of thousands of people dead. Bishop Pierre Claverie and his driver were killed by a remote-controlled bomb left by the bishop's residence, and the seven Trappist monks, who had been kidnapped from the monastery of Tibhirine, were beheaded by a group of Islamic terrorists trained by the al-Qaida network. The monks' story was treated in the film "Of Gods and Men," which won the grand prize at its premiere at the Cannes Film Festival in 2010.